Inas leaps at adventure. She dives to the bottom of the Aegean Sea to harvest sponges and somersaults over charging bulls in front of thousands of people. Best of all, she soars from cliffs wearing the glider-wings her father builds in secret, safe from the prying eyes of their neighbors, who think flying is sorcery. When Princess Ariadne seeks Inas's help to hatch a plan with Theseus, a young Greek who's held prisoner in the palace's Labyrinth, Inas doesn't realize how much adventure she is taking on. In fact, Inas suddenly finds that she may be about to lose everything she holds dear on the island of Crete. 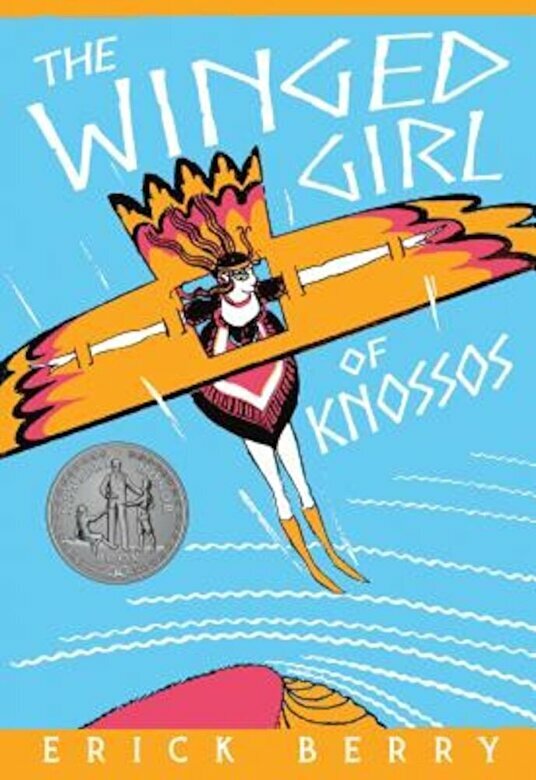 A fun, fast-paced retelling of the Greek myths of Icarus and Theseus, this 1934 Newbery Honor book was ahead of its time and is sure to find lots of fans among today's readers. Erick Berry was the pen name of Allena Champlin (1892-1974), an award-winning author and illustrator. She was born in New Bedford, Massachusetts, studied art in Paris, and spent time in Africa. She wrote nonfiction about life in Africa as well as historical fiction. She was married to author Herbert Best and illustrated many of his books in addition to her own. Betsy Bird is Evanston Public Library's Collection Development Manager. She has served on the Newbery Award committee and written for The Horn Book. Currently, she runs the blog "A Fuse 8 Production" on the School Library Journal website.